Having a healthy breakfast and starting your day right is crucial when it comes to losing weight and having a flat belly. You know why? Because if you start the day right, you’re more likely to keep it healthy for the rest of it. But it’s often confusing what you should have for breakfast, especially with so many misleading info out there. 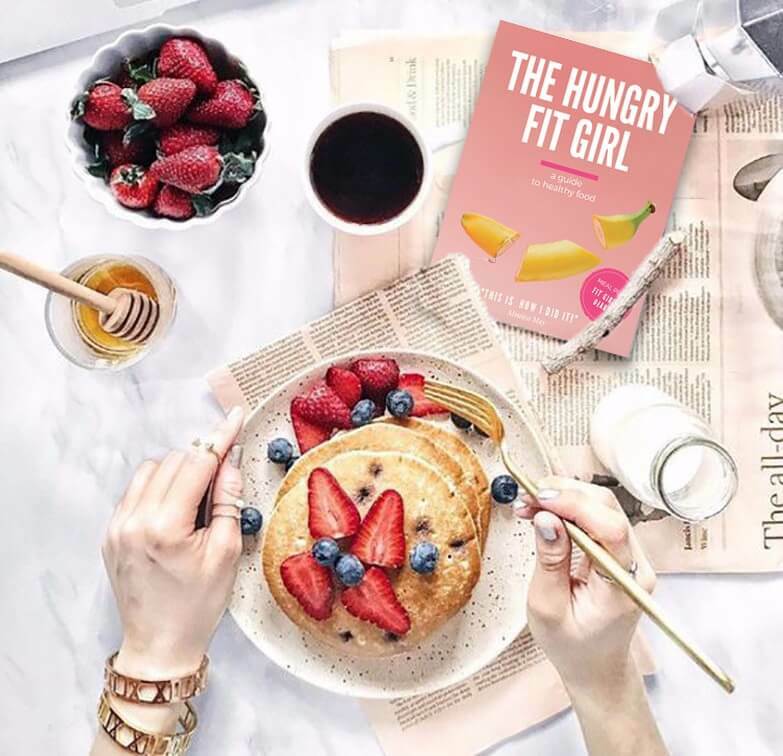 That’s why I decided to give you 15 healthy breakfast recipes for flat belly, to help you lose weight and start your day, balanced and clean. 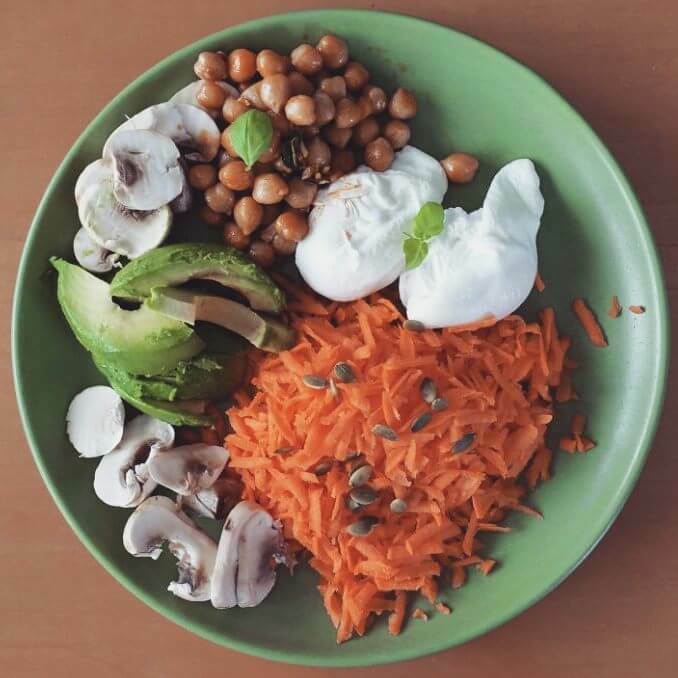 You need to be extremely picky when it comes to making a healthy breakfast, and I’m going to show you how! Let’s get started right away with the best healthy breakfast recipes for flat belly! This is one of my favorite fast fix-ups if you’re not a “breakfast kind of person”. You’ll get the energy needed to jump start the day balanced and healthy. Here’s how you can do them. 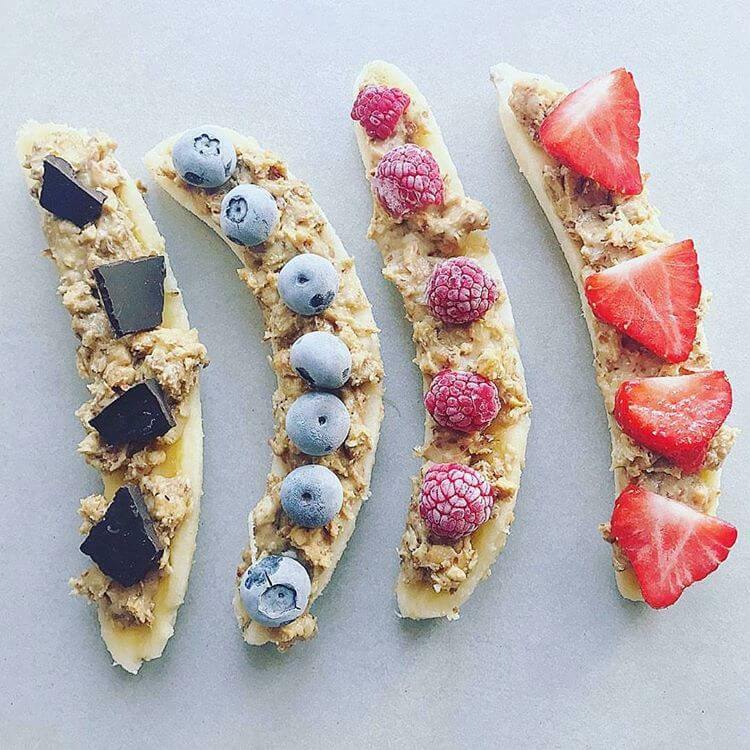 Just get a banana and slice it in half. If you decide to go with chocolate, make sure to use a 90% cocoa one. The banana is sweet enough itself, so you don’t want to add that extra sugar from a regular chocolate. The best thing about protein bread is that it lacks the carbs and you can have as much slices as you want! 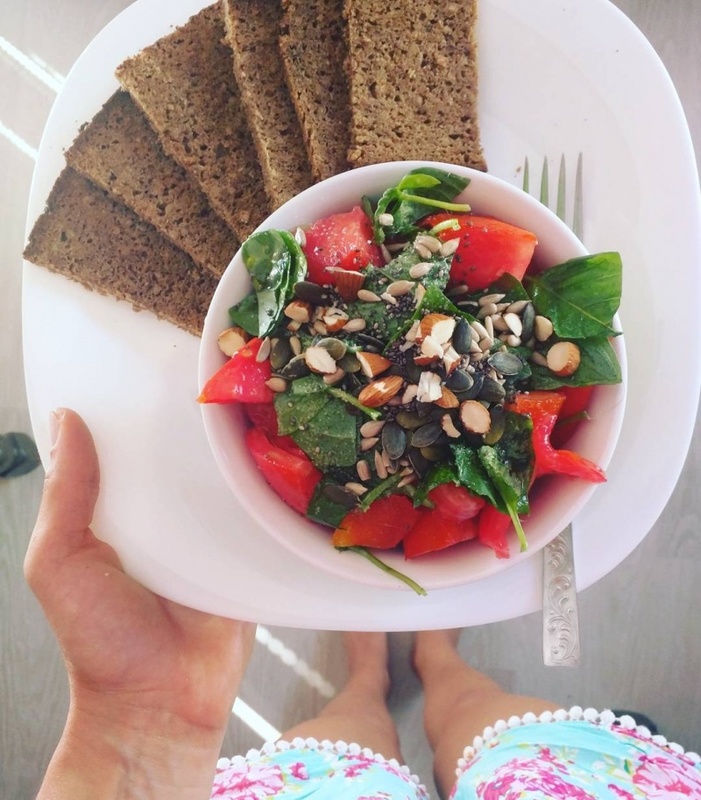 Starting your day with a salad topped with a bunch of seeds is a great way to go too, and you’re going to love this combo! Just remember to always spice it all up with Himalayan salt and extra virgin olive oil, and choose a good and healthy brand of protein bread. Omelet is always a good idea for breakfast, especially if you’re trying to increase the protein intake and maximize the weight loss. This is one of my favorite omelet recipe. 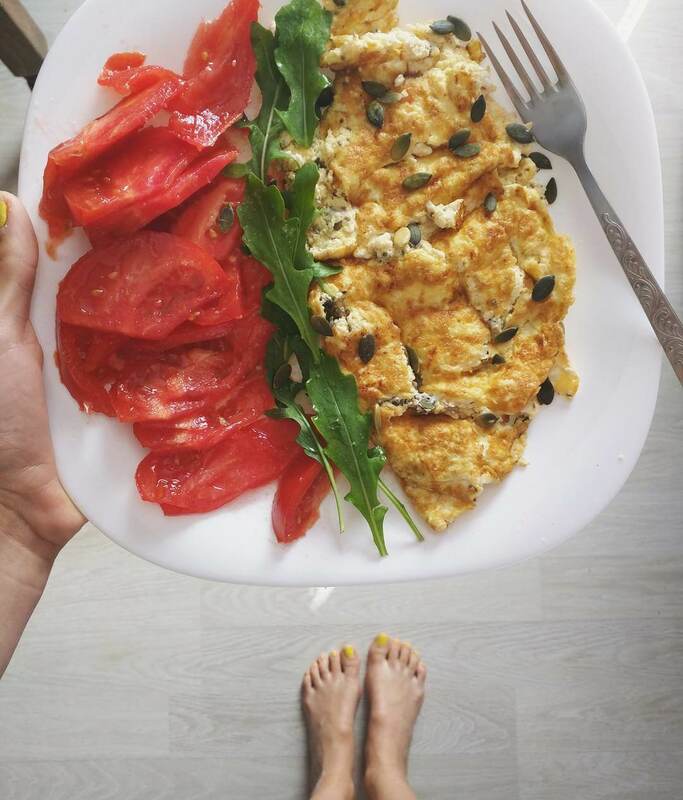 Mix the egg and the egg whites together with the cottage cheese, pumpkin seeds and chia seeds. Spice them up with Himalayan salt and cook them over low heat on few drops of olive oil. Once they’re ready, side them with fresh arugula and tomato. This healthy breakfast recipe screams “protein and health”, and it’s a great way to start your day right. 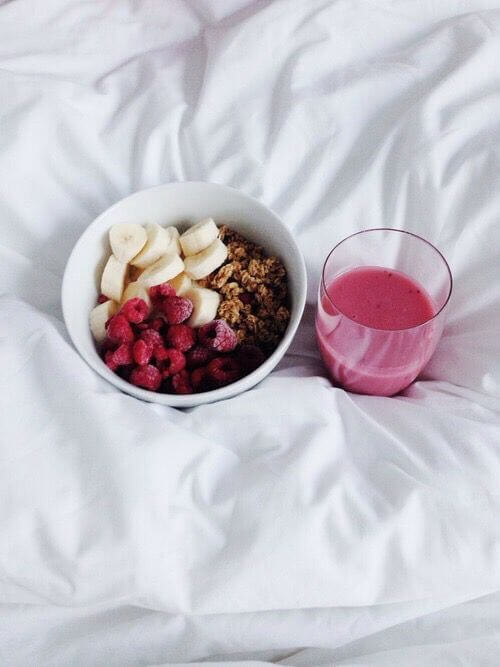 Girls, this is SO DELICIOUS yet nutritious! Here’s how I made this happen. First, I made a “dough” which is basicly a pancake mixture with a thicker texture. And that’s about it, mix it with a big spoon and bake in on a pancake pan, on low heat for about 2-5 minutes each side, or until it turns golden brown. You can top it with whatever you prefer. This is so delicious and nutritious and it’s definitely an OUT OF THE BOX recipe you have to try out. Keeping it interesting in the kitchen is crucial when it comes to keeping your motivations to eat healthy up! 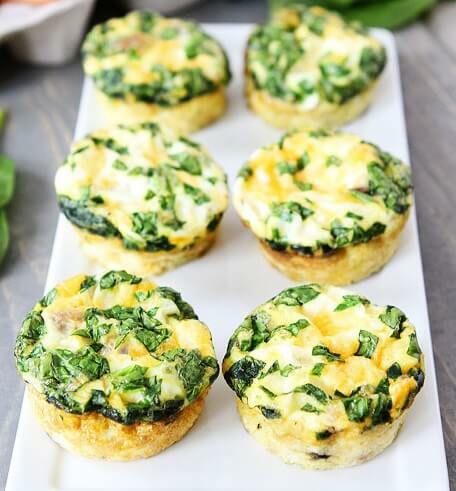 These egg muffins are so delicious and you can even have them on the go! They can stay in the fridge for up to 3 days. Whisk together all of the ingredients and stir them nicely. Grease 6 muffin tin cups with cooking spray or line cups with paper liners and pour the egg mixture evenly into the muffin cups. Tahini is one of my latest inventions – it is so healthy and full of healthy fats and proteins, yet it goes great as a topping on toasts. 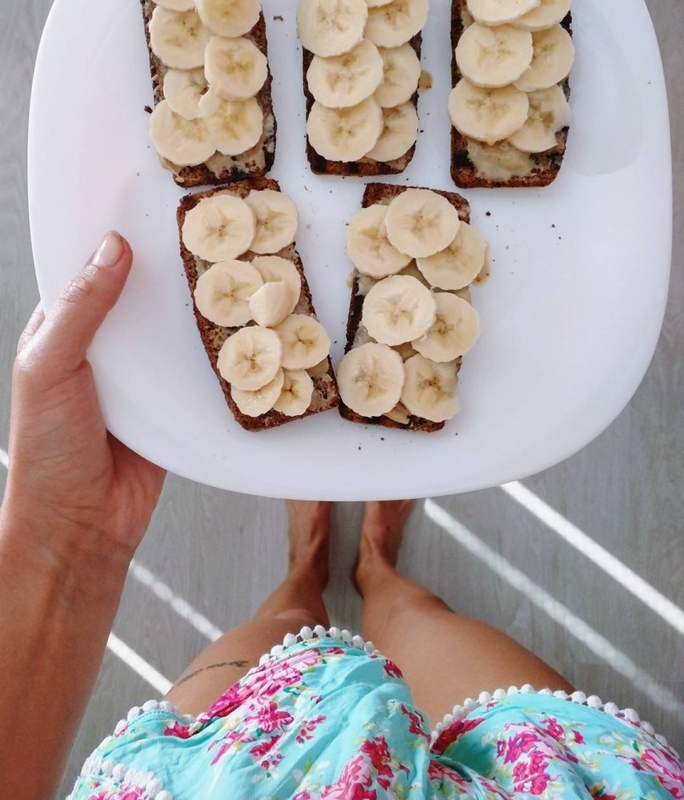 So next recipe is a tahini banana toasts, you’re going to fall in love with! 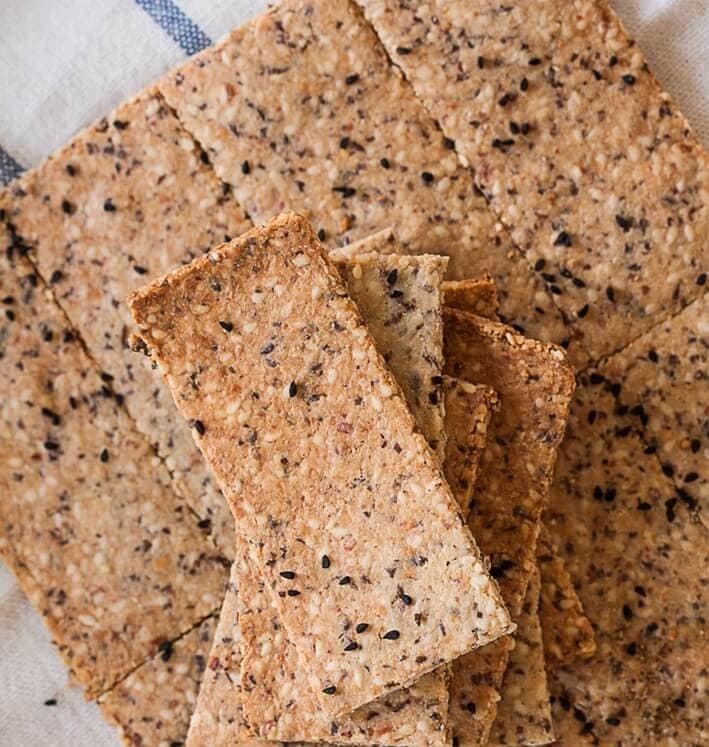 Just toast few slices of your favorite whole grain bred. Once they’re toasted, spread them with tahini and add thin banana slices on top. Whole grain pasta is a great idea for breakfast and this whole wheat pasta will combo will blow your mind! 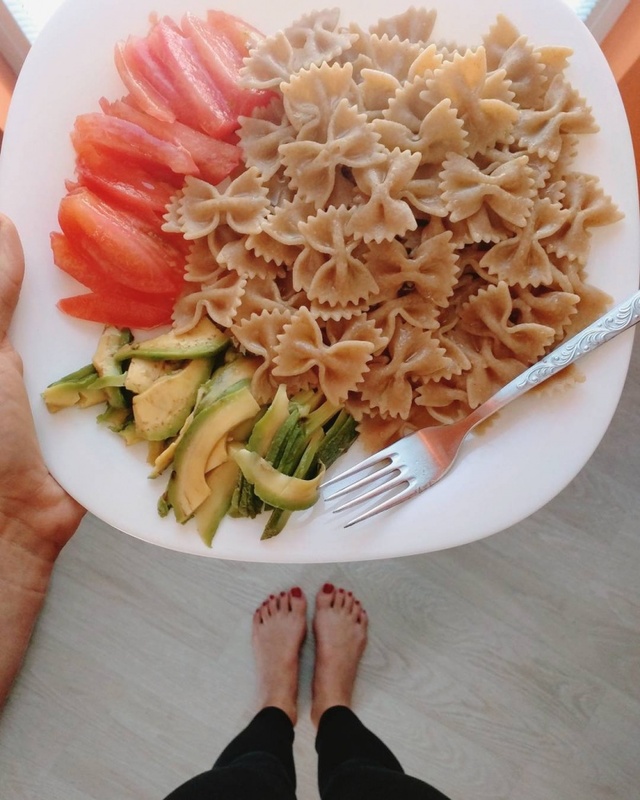 Just boil your favorite whole grain pasta (read the instructions) and once ready pour some olive oil and Himalayan salt on it and side it with tomatoes and avocado. This is fast and delicious, you’re going to love it! I love adding seeds to my smoothies, they’re rich in vitamins and minerals and they give the smoothie a special “breakfast” texture. Just pour your smoothie into your granola oats bowl and you’re ready to go! 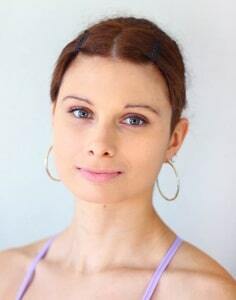 This one’s in my eating program and I just love it! First mix the dry ingredients in a bowl. That means the rice flour, oat flour, salt and cinnamon. Then mix the wet ingredients in another bowl, the milk, 2 tablespoons honey, and the oil. Add the sliced banana and blend it until it’s smooth. 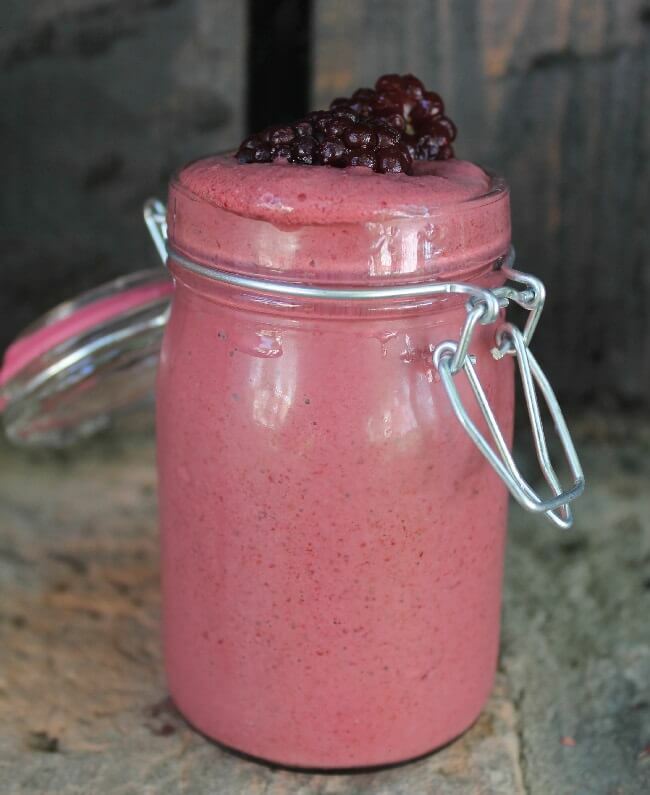 Combine the dry and the wet ingredients with a blender and when you’re done add the blueberries. Add a little bit of olive oil in a hot pan, and start making the pancakes. You should cook for about two minutes for each side, or until they turn golden brown. Smaller pancakes will be easier to flip. Once done top them with blueberries and strawberries. 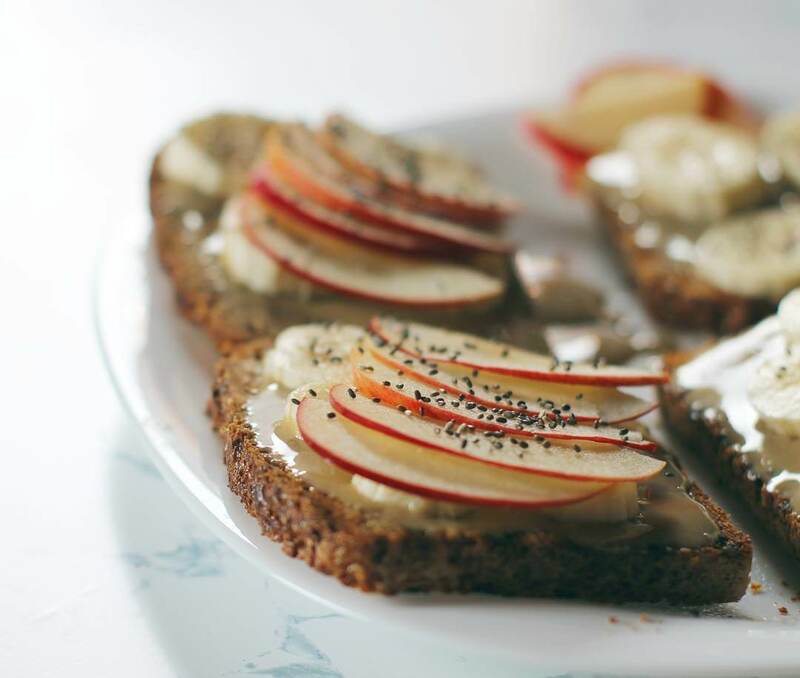 Just toast a few slices of your favorite 100% whole grain bread, spread a little bit peanut butter on top, sprinkle a bit of cinnamon, then add few circles of bananas, then some thin slices of apple and chia seeds on top. 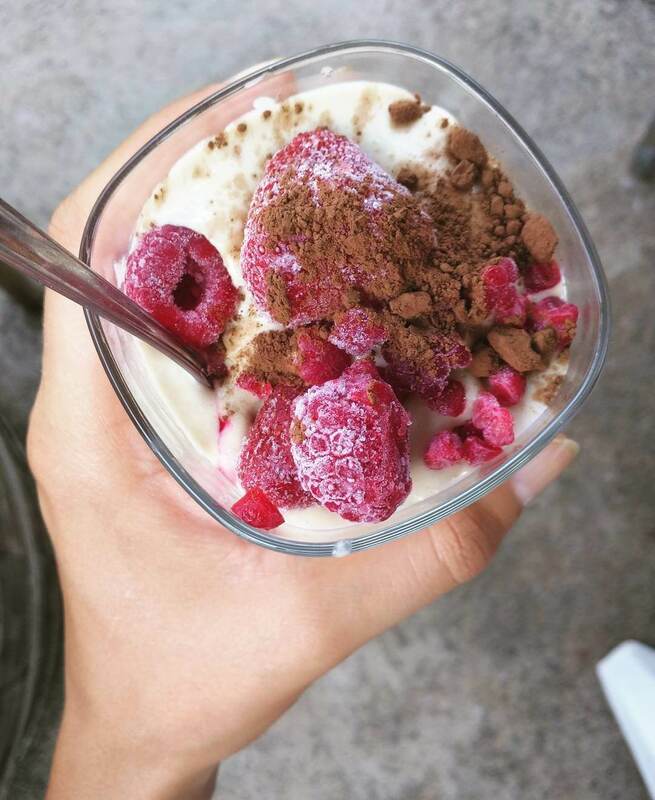 Who loves having ice cream for breakfast? Mix everything nice with a food processor and freeze it for at least 3 hours. At the end, top it with frozen berries and fresh cocoa powder. 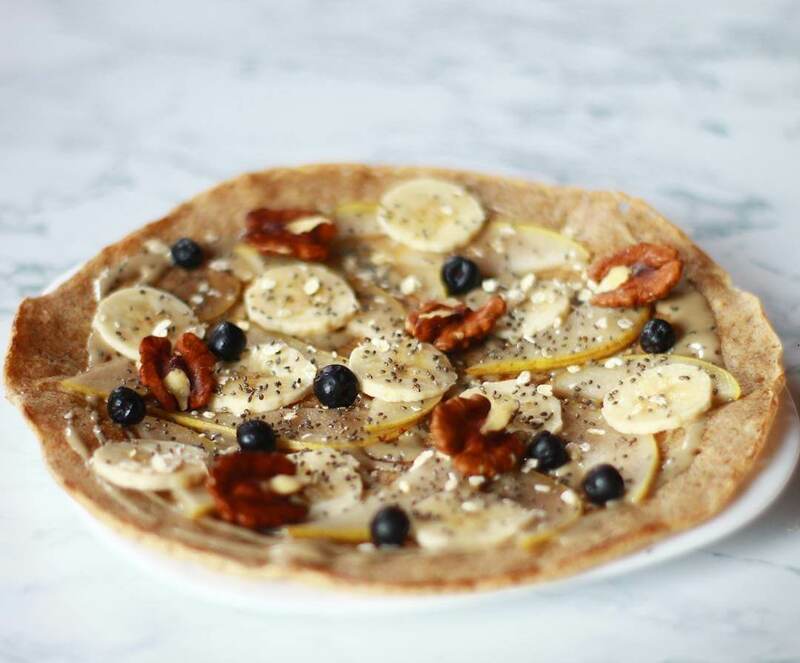 Here’s a fast flat belly breakfast fix up! 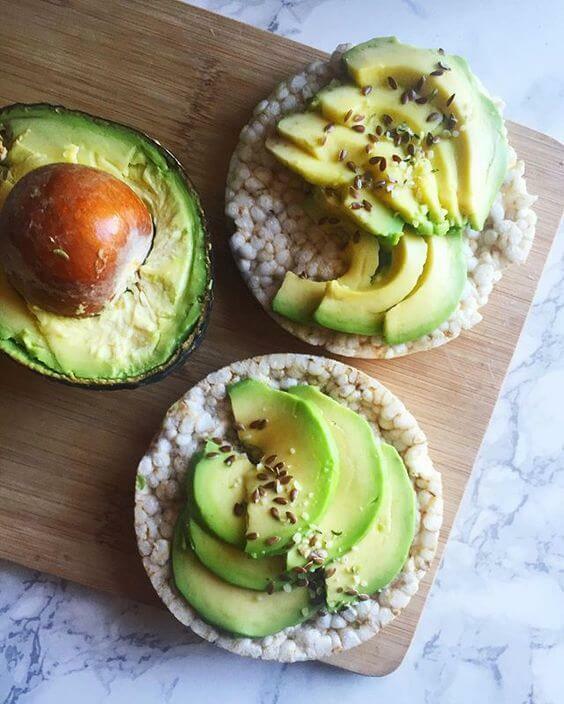 Just top the rice cakes with cottage cheese, sliced avocado, flax seeds and Himalayan salt, and you’re ready to go! Crackers are a great choice, you just have to be careful with the ones you pick. So, we’ll do something even better – we’ll make them from scratch! Blend all the seeds, and then mix them together with the other ingredients. Place them on a baking sheet, and bake them for 10-15 minutes on a preheated 180 degrees oven. You can add other spices by choice. 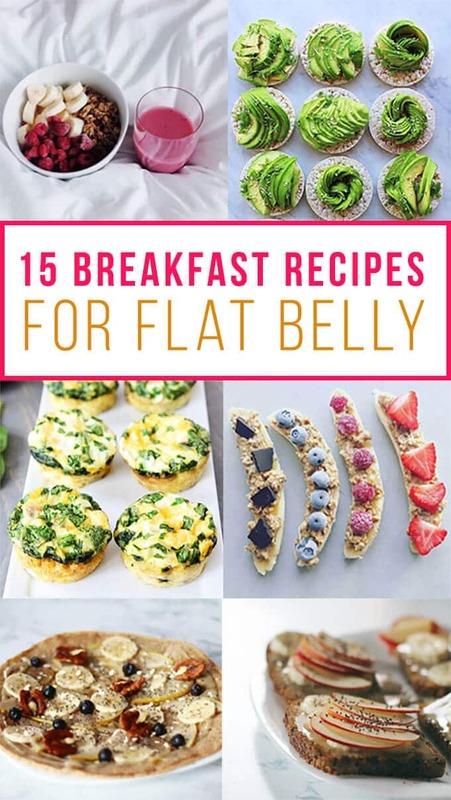 I hope you like my 15 Healthy Breakfast Recipes For Flat Belly – Extremely Delicious Breakfast Ideas To Lose Weight. Don’t forget to share them with your friends! Love the post! Super yummy looking! !